Part 1 – WHY POP ANYWAY? Welcome to our newest series committed to educating those out there who want to learn more about the rapidly changing and wide-ranging world of packaging. Because we have been spending so much time on subscription packaging lately, we decided to focus on another important segment: POP (Point of Purchase). The goal of POP displays is to boost in-store sales by drawing consumers’ attention to a product right at the point where they’re making their buying decisions. 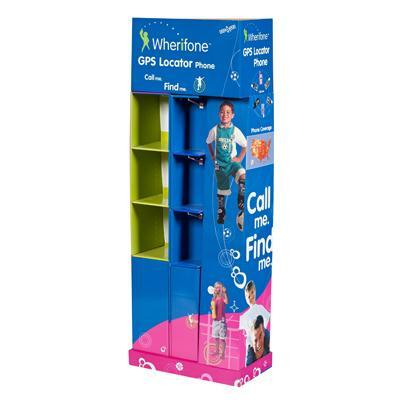 Instead of waiting for customers to find a product on the shelf, for instance, brands place POP displays in eye-catching locations close to the cash register to attract their attention. These kinds of consumer touchpoints give brands an opportunity to influence consumers’ buying decisions and encourage them to choose their product over a competitor’s. According to Frank Mayer and Associates 2018 report on trends in the industry, (you can read the full report here), there are several important factors that brands should consider when deciding where to invest their marketing efforts. Self Service – from quick service restaurants to department stores, all segments are embracing the concept that some customers want to be able to order ahead, pick up and have little to no interaction with ay staff. In this respect, having a clear area for pick-ups that is well signed and easy to access are crucial. Brand Loyalty – Because millennials now make up the largest living generation, many brands understand that a major part of the buying decision for this age group is the story behind the product. So, POP displays that incorporate origin (of coffee beans, for example) or what charities a company is involved with heavily influence buying decisions. POP is a great way to help tell those anecdotal stories sand strengthen the relationship with the end user. Category Marketing – According to Creative Director Ryan Lepianka, more retailers are turning to category management to display comparable products made by a variety of brands. The rules are changing, and what would have seemed taboo 5 years ago is commonplace now. Expect other big changes soon with technology such as facial recognition to pop up more and more often. The customer experience is the focus and will continue to drive innovation in every aspect of the POP world. We are here to help you navigate the constantly changing waters and help you connect with your customers at any stage or location.